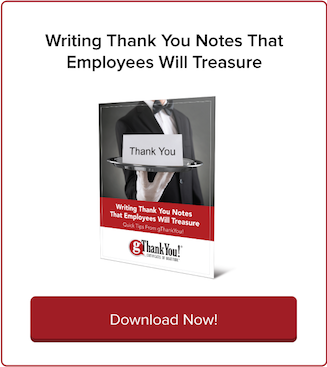 4 Tools to Inspire Your 2016 Recognition Planning | gThankYou! “No longer is engagement a once-per-year problem,” writes founder Josh Bersin. “It is a continuous and always-on issue.” He laments that, in the case of engagement, HR professionals are “sometimes slow to act.” In 2016, we need to pick up the pace! “The world’s best talent strategies and HR solutions are no longer available off the shelf — you need to invent them,” Bersin writes. It sounds like a tall order — to invent company-specific, practical, affordable HR solutions. But it doesn’t need to be a daunting process. Read on for expert-recommended tools to help you find your creativity and guide your “bold” 2016 recognition planning! Athletes have coaches, authors have editors, teachers have mentors — and HR professionals have HR analysts. In her HR Bartender blog post “What Are #HR Analysts and Why You Should Pay Attention To Them,” Sharlyn Lauby praises the unique “bigger picture” perspective analysts can offer. She also interviews several analysts about their work and specific areas of expertise. “Frankly, this is a new group of people I never had access to during my corporate career. The more time I spend with them, the more I learn and realize how valuable they would have been to me when I worked ‘in the trenches,'” Lauby writes. Does your business offer HR an opportunity for analysis, mentorship, and training? Employee perks and recognition aren’t just the “nice” thing to do. They are vital to employee performance, retention and happiness. Luckily, the New Year offers more analytic tools to zero in on exactly which recognition techniques work best and how. Blogging4Jobs’ Jessica Miller-Merrell writes that perks like free lunch and unlimited parental leave are “good media- and blog-fodder,” but wonders how effective they are. Well, we don’t need to wonder anymore. In another recent post, Miller-Merrell writes that a continued focus on measuring HR solutions moves “the human resources department from cost center to revenue center” by providing hard proof of the value that talent and human capital has to organizational success. “Metrics, data and reporting only help demonstrate the ripple effect of HR in every department of the organization,” she writes. How are you measuring your business’s HR solutions? In the new HR world, the most effective recognition programs push beyond annual awards dinners and appreciation plaques. Seeking (and responding to) employee feedback regularly and immediately demonstrates a unique form of recognition. It means you’re taking employees’ needs and ideas seriously! 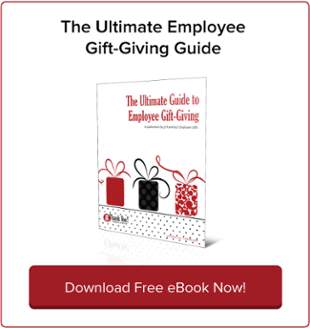 Employee feedback is an invaluable guide to your overall engagement approach. One example: a social recognition network that allows employees to share thanks, points and other forms of positive feedback in an open and social way. What opportunities do your employees have to submit feedback? 4. Design Your Own 2016 Recognition Calendar! Bersin calls engagement a “continuous and always-on issue” — and what better way to keep recognition top-of-mind all year long than with a 2016 recognition calendar? gThankYou’s FREE 2016 Day-to-Day Celebration Calendar is here to help you plan daily recognition and organize regular celebrations throughout the year. 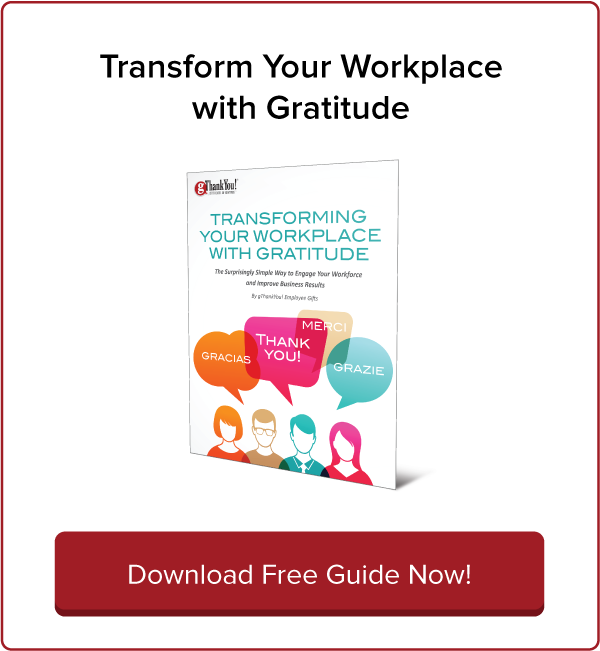 We put together this one-of-a-kind eBook to help you to build an everyday culture of appreciation. 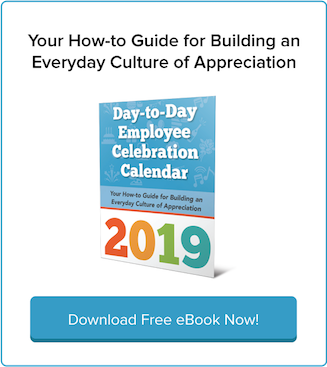 Inside you’ll find month-by-month guides, case studies, research highlights, how-to recognition advice and celebration ideas for specific holidays and anytime. Download your Celebration Calendar today (absolutely free) and get inspired for your 2016 recognition planning! We wish you great success in the year ahead building the culture of engagement and appreciate you want.